NOTE: When this outbreak began, the Website for the State of California was frightening silent in regard to END. At that time, we at THIS site were digging up much information as we could to keep you as current as possible. It seems that the State has finally decided to take action in that their Website is being updated quite frequently. We, at this site, thank the CFDA and USDA representative for having come to THIS site in order to keep abreast of our discoveries since you will note that many topics that we discussed here have now been taken to heart in many instances. 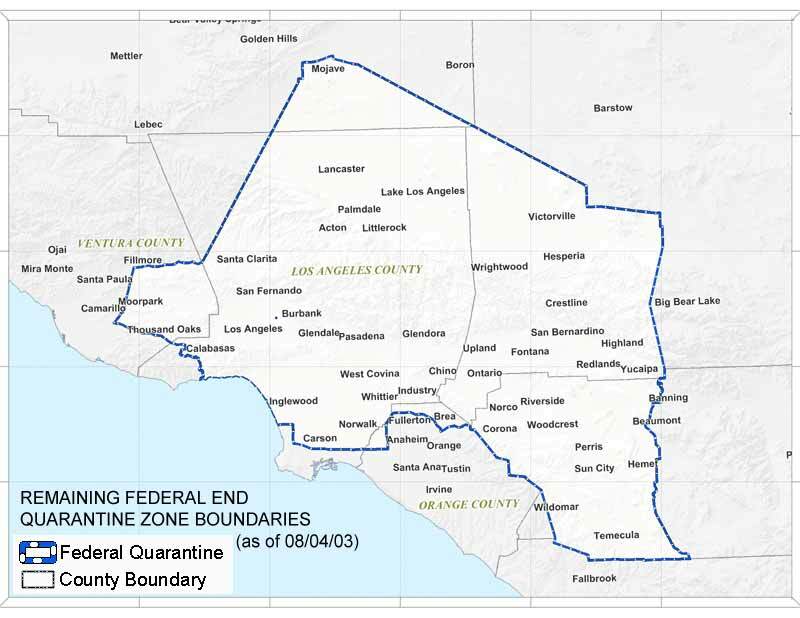 The current "official" stance of this outbreak is pointing out the relationship between the current END outbreak in CA to the END outbreak in Mexico which occurred in 2000. We, in fact, have had a link discussing that outbreak on this site since Oct. 8, 2002! Futhermore, while certain State spokespersons continued trying to incorrectly point their fingers at caged or exotic birds, we were pointing precisely in the right direction - to gamefowl probably illegally smuggled into the State. In the situation at hand, it is appalling that policitical correctness was deemed more important than the truth. All of our prior information is on this site, however, it has been reorganized as it has grown. We are glad, at cocka2.com, to be acting as a public service. Should any persons working with the CFDA, the USDA or any Task Force in regard to the current END outbreak wish to contact us either on or OFF the record, please feel free to send us email. We shall maintain total confidentiality of any such correspondence and our track record proves that we keep our word. SUBMIT any verifiable information or links that we should share on this site by sending email.